Listen, I get it. Technology poses some challenges in our society, especially to parents. We don’t want our kids zoned out in front of the TV all day. We don’t want them always choosing to play video games indoors when they can go outside and play. We don’t want them failing to develop social skills like behaving in a restaurant, because we were always handing over a device for their entertainment. We don’t want our family relationships breaking down, because everyone is too busy with their devices to talk to each other. I also understand that for many parents technology feels foreign and scary and dangerous. Unlike our children, we were not born with it as an everyday part of our lives. So, it isn’t always intuitive to us and it can take time (precious time we often feel we don’t have) to learn about and keep up with technology. 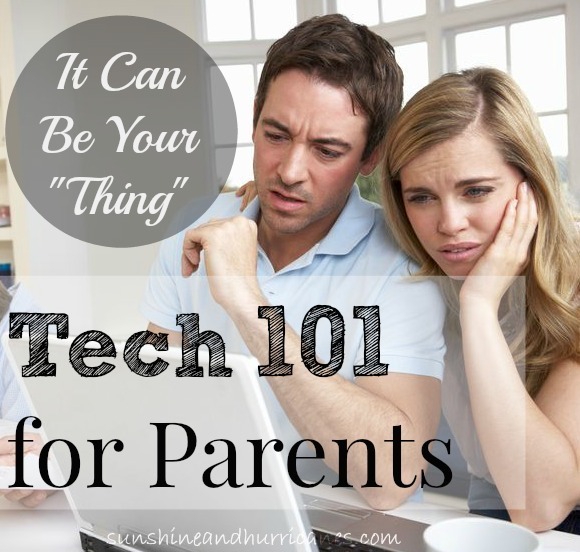 I don’t know if it is this fear or this sense of overwhelm or a combination of both, but when the topic of technology and kids comes up, I constantly hear other parents saying “Tech is just not my THING”. TECH NEEDS TO BECOME YOUR “THING”! My husband and I are both “techies” you could say, just in different forms. As a blogger, I spend quite a bit of time online and especially with social media. As a writer, for this blog as well as various parenting magazines, I am constantly researching areas that are relevant to parents and technology is a big one. My husband, on the other hand, works directly in the technology industry as a consultant for a large software company. Between the two of us, we cover a large portion of the technology spectrum. While we believe there absolutely needs to be limits and caution when it to comes to technology, we also see the ways technology can benefit children and families. I think it is unfortunate that an overwhelming number of magazine articles, news clips, blog posts and Facebook status updates focus so greatly on the negatives of technology and only reinforce a parent’s fears and guilt. This endless stream of negative feedback keeps parents from exploring all the positive ways technology can be used both for fun and education when it comes to their children. Even more concerning though, is the way it distracts parents from acknowledging that technology is an unavoidable part of their children’s lives and that isn’t going to change. Failing to recognize this fact and using excuses like “tech is just not my thing” to avoid dealing with it, leaves you as a parent completely unequipped to guide your children and to keep them safe. 1. We want to be involved in our children’s education and able to help them. – Can we do that if we don’t have some familiarity with one of the primary tools that they will using? 2. We want to do everything we can to keep our children safe. – Are we really doing everything though, if we don’t fully understand the true risks technology and social media pose to our children and how to guide them? 3. 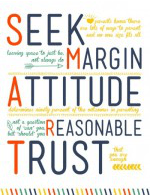 We want to raise children who are are responsible, respectful and compassionate. – Do we risk those character traits if we aren’t able to explain and model the proper use and etiquette of technological devices and social media? 4. We want to encourage our children to pursue their dreams and become successful adults. – Are we putting them at a disadvantage if we are unable to help them identify and use all the resources technology provides to help them pursue their passions and interests? 5. We want to strengthen our families and have fun with our children. – Could we be losing an opportunity to bond with our children and to actually build our relationships if we refuse to learn and engage with them on a platform that is both fun and a BIG part of their life experience? My questions aren’t meant to be critical, but they are meant to be thought provoking and to challenge some of our pre-conceived notions or generational biases. Let’s not forget there was a generation of parents who thought rock and roll was evil – how’d that work out for them? Keeping kids safe online – what are the basics you need to know and what are some of the best tools out there to help you keep your children safe when using your computer or other technology at home. Mobile Phones – What settings should you enable if your children are using your mobile phone even just for play and to guard their privacy and your family’s privacy. How to Talk to Your Kids About Technology and Setting Household Technology Rules and Limits. Social Media for Adults – An intro to all the different types of social media, what you should know about privacy, and how to be a good role model for your children. Social Media for Kids – What is the right age, which types should you allow, how can you monitor it and how can you teach kids to make good choices when they are using it. Minecraft and other popular gaming apps – What you need to know and how some might actually benefit your kids. If you don’t want to miss any parts of the series, feel free to sign-up for our weekly newsletter at the bottom of this post. Also, if you have any questions or ideas for other tech posts that you think would help you out, leave a comment below or email us at sunandhurricanes@gmail.com and we will be happy to do what we can! I’m so glad you’re talking about this. I saw an article last week about giving a kid technology for Christmas. I think it was in the Huffington Post. While I understand the parent’s concerns in the article, I was frustrated with her withdrawal from the technology and her lack of willingness to teach her child how to use technology responsibly. Kira, I didn’t know anything aside from the name of this game before reading your article but now I might just go and buy the full version. Thanks for enlightening me!